WEDNESDAY, Oct. 8, 2014 (HealthDay News) -- Women who follow five healthy habits can cut their stroke risk in half, new research suggests. After being followed an average of 10 years, women who ate a healthy diet, drank alcohol moderately, never smoked, remained physically active and had a healthy body weight were 54 percent less likely to have a stroke than women with none of these factors, said study author Susanna Larsson, a researcher at the Karolinska Institute in Stockholm, Sweden. While other studies have looked at single risk factors, "only a few studies have examined the combined effects of a healthy lifestyle on stroke risk," Larsson said. "We observed that the risk of stroke decreased steadily with an increasing number of healthy lifestyle habits," she said. While the study found an association between healthy habits and stroke risk, a causal link was not proven. The study is published in the Oct. 8 online edition of the journal Neurology. Larsson's team followed nearly 32,000 Swedish women, average age 60, as they reported on their diet and lifestyle. For the study, a healthy diet was considered one within the top 50 percent of a food score that measured how often the women ate fruits, vegetables, low-fat dairy foods and other healthy fare. Moderate alcohol intake was termed three to nine drinks a week. Women were classified as physically active if they walked or biked at least 40 minutes a day, along with doing more vigorous exercise at least an hour once a week. Healthy weight was defined as having a body mass index (BMI) below 25. For example, a person who is 5 foot, 4inches and weighs 140 pounds has a BMI of 24. 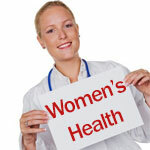 About 1,500 women reported none of the healthy habits, but 589 had all five. Most women had two or three. During the follow up, 1,554 strokes occurred. The more healthy habits a woman practiced, the less likely she was to have a stroke, the study authors found. "It is never too late to start to be more healthy," Larsson said. So, if women have reached mid-life and need to get healthier, she encourages them to do so. Those who ate a healthy diet were 13 percent less likely to have an ischemic stroke, the most common type of stroke, in which a clot blocks a blood vessel supplying blood to the brain. There was no link between healthy habits and hemorrhagic strokes, which are caused by bleeding in or around the brain. There is no minimum number of healthy habits that is ideal, she said. "The more [healthy] lifestyle habits, the lower the risk of stroke," Larsson said. "Having two habits is better than having none or one, and having four is better than, for example, two." The study included only women, so Larsson can't say if the findings apply to men. That's next. "We will examine, in a similar cohort of men, how large an impact a healthy lifestyle has on stroke risk in men," she said. Dr. Gregg Fonarow, a professor of cardiology at the University of California, Los Angeles, agreed. "It is never too late to adopt a heart- and brain-healthy lifestyle," he said. "Even later in life, one can potentially reduce the risk of heart attack, heart disease and stroke." Even though cardiovascular disease is the leading cause of death and stroke is the fourth leading cause of death in the United States, "the vast majority of heart attacks and strokes are preventable," Fonarow said. Other studies have also shown that the lifestyle factors that Larsson studied, individually and in combination, are linked with a lower risk of stroke and other problems, Fonarow said. The new study "builds upon the evidence base of prior studies," he said.